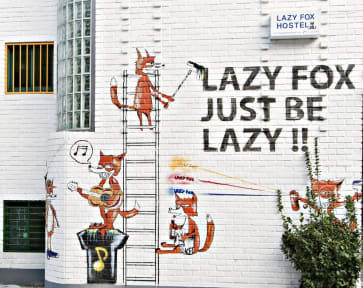 Hongdae Lazy Fox Hostel In Seoul i Seoul, Sydkorea : Boka nu! Great place to meet backpackers, good location. I liked my stay here, but it really depends what you are looking for. The staff is volunteers so there are not really helpful in terms of things to do outside of tripadvisor recommandations; Hostel clean, but lockers not working in dorms, can be opened without keys.